Here’s a beautiful snowy egret. 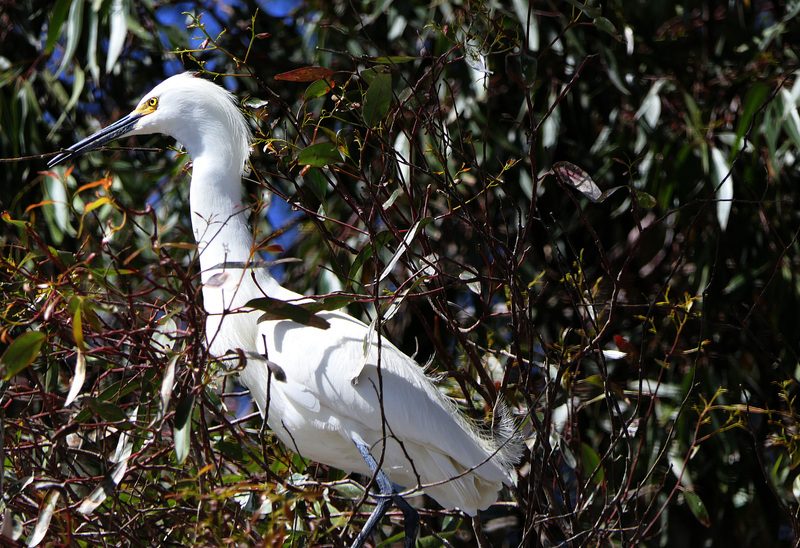 This one was up in a tree near Dana Point harbor that was egret central. There must have been at least a dozen of them nesting there. This was great for taking photos, but the price was a car covered with bird droppings. I really should have parked a little farther away. Plus we have a bonus picture today: a snowy egret using its aileron flaps to slow down for a landing near its nest. Our little egret baby is obviously looking forward to lunch. Yum yum!